We are looking for an experience forklift operator to operate in a warehouse setting, M-F from 7am-5pm. This role will be primarily be moving pallets/boxes from one location to another in the warehouse, breaking down pallets, etc. This position requires previous experience on a forklift and comfort with moving in tight spaces. To apply, email your resume to jriess@reliancestaffing.com and come in for an interview during our open interview times, M-Thurs from 9am-11am. To interview, bring two forms of ID and dress professionally. We are located at 808 Moorefield Park Dr. Richmond, VA. Questions? Call 804.201.4894. 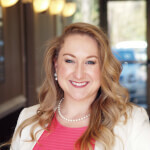 Jackie Riess holds a Bachelor of Arts in Psychology from the University of North Carolina at Wilmington and a Master’s of Business Administration with a focus in Human Resources from South University. Jackie has been working in career counseling for the last 3 years and is excited to use those skills to help put the right employees in the right jobs. Jackie is a transplant to Richmond from coastal North Carolina and is excited about exploring everything the city has to offer. She loves traveling, the beach, and playing with her two dogs.